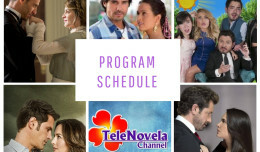 Passion: Episode 15 | TeleNovela Channel - Bringing you closer to lifes drama. Ricardo shows up at San Fernando with Lisabeta and Francisca and asks support from Don Jorge to recover Timoteo’s fortune. Meantime, Ursula’s eyes are set on Ricardo as she plans to marry him.